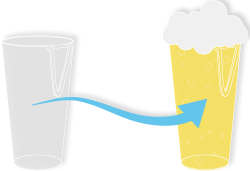 One time cups pollute the environment. And what’s more, their removal and further liquidation is time and money consuming. Just have an exclusive sip with style and be ecologically friendly. Empty nicknack cups do not pose any burden for your hands – just hang them on your belt. 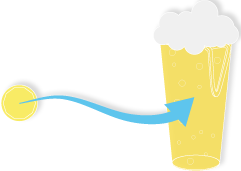 And full ones can be comfortably carried – just hook one on another and take them without wetting your fingers in beverages. Nicknack with original printing adds value to your brand. It helps you to make a mark. 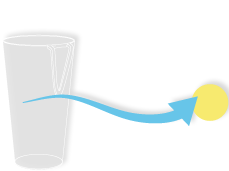 During an event and even a long time afterwards – major part of people take the printed cup with them home. Nicknack is light, solid and resistant. Cool beverages do not get warm quickly, hot ones do not get cold. Its hygienic sanity is a matter of fact. One nicknack cup is worth a thousand of one-time ones. This is of course rather metaphorical. Nevertheless the fact is that due to repeated use you do not need more of them. The event participant pays a deposit for the nicknack cup and gets his or her drink. Any used nicknack cup is changed for a new one at the service counter. If the nicknack cup is given back, also the deposit is returned. We can provide you with first class service. Starting with excellent coffee and ending up with support for stock-taking.